Sorry this is a day late, but better late the never! MasqueBAR are a great face mask brand and they have released three new sheet masks. 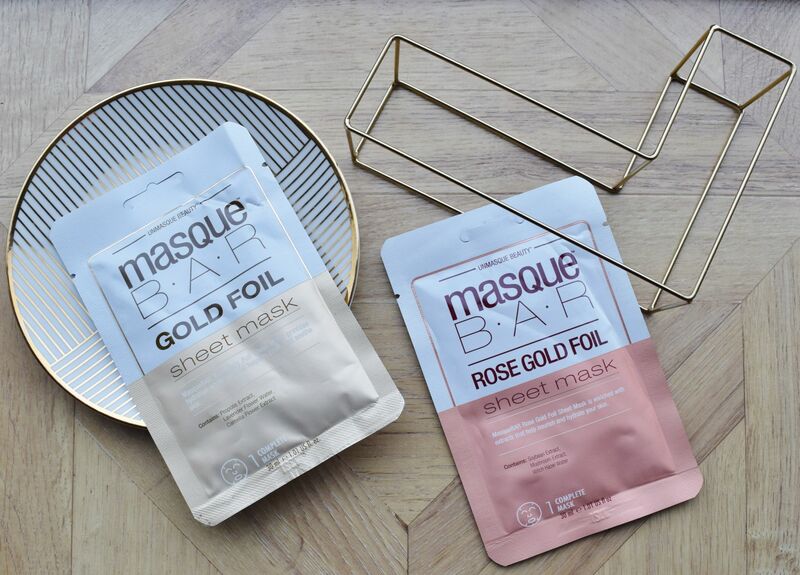 The MasqueBAR Metallic Foil Sheet Masks* (£4.99 from Boots), come in three different varieties – Gold, Rose Gold and Silver. Each of the three masks contain different ingredients, and are designed to have different effects on the skin. 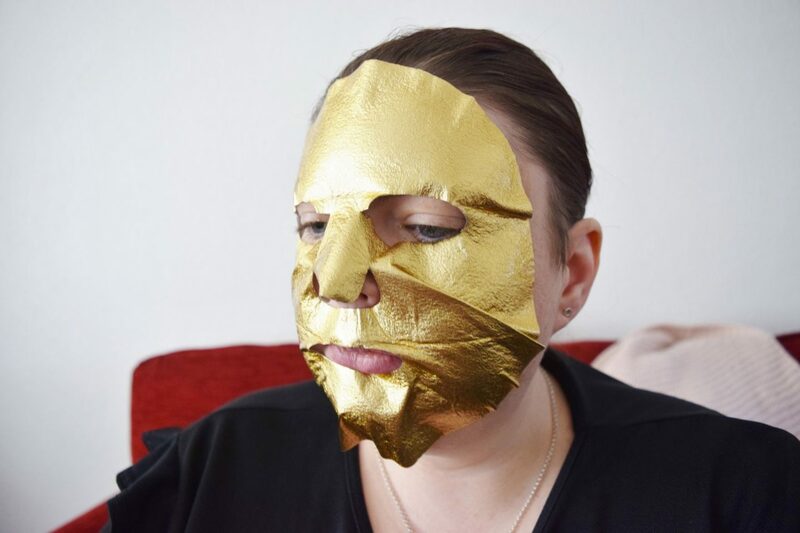 I’ve tested out the Gold Foil Sheet Mask and the Rose Gold Sheet Mask, and I wanted to share my thoughts on them with you. The Gold Foil Sheet Mask is infused with Camelia Flower Extract and Lavender Flower Water to hydrate the skin, and also calm and soothe the skin. The Rose Gold Sheet Mask is designed to hydrate and nourish the skin, with it’s Soybean Extract, Mushroom Extract and Witch Hazel Water ingredients. The foil element of the mask is there to help the mask’s ingredients penetrate into the skin better, rather than evaporate into the air. 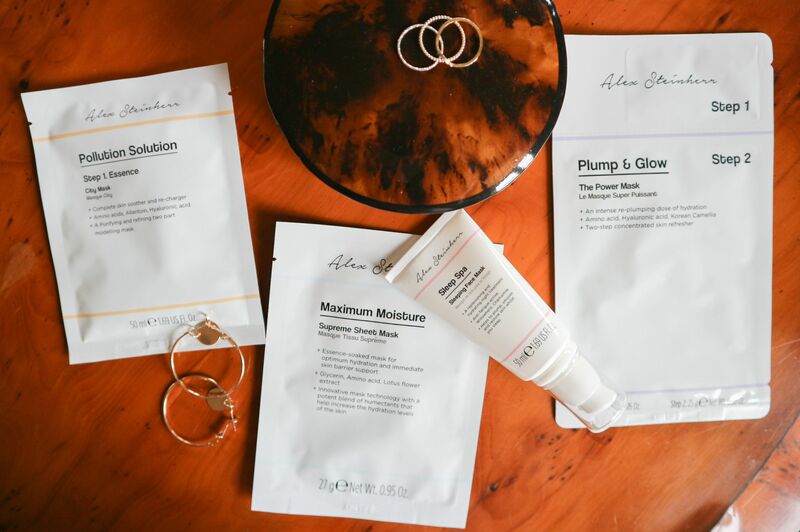 The gold, rose gold and silver are just there as colourings to make the masks look attractive, rather than being active ingredients in the mask. 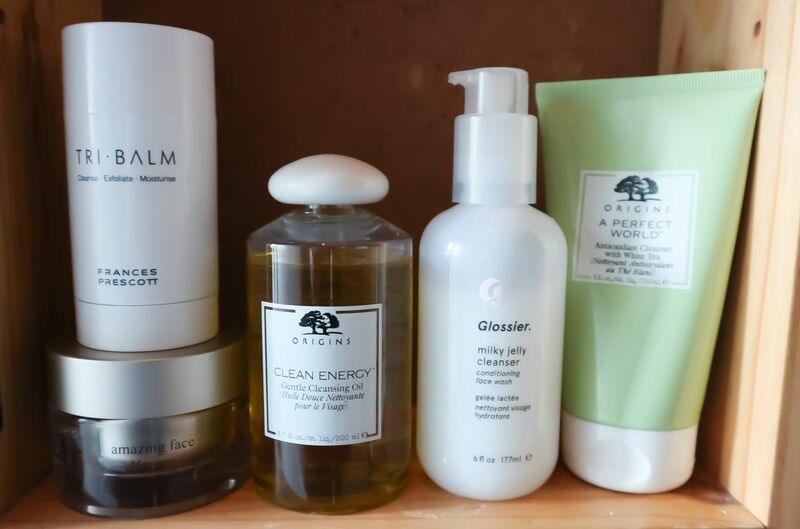 You apply these masks to your skin for 20 minutes, before removing and massaging in any excess serum. Be careful when applying as they are very drippy. I really enjoyed these masks, and I think they give great results. My skin felt so soft, plump and hydrated after using both of these masks. They look so visually stunning when on, and feel so luxurious, that they would be great as an addition to a girly pamper night. 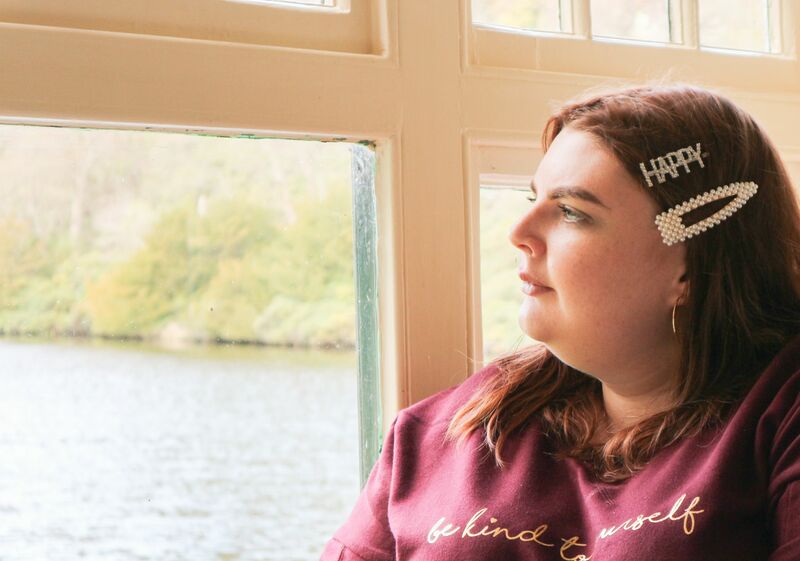 £4.99 might sound expensive for a sheet mask, but when you compare the price of these MasqueBAR masks to the more expensive foil masks from the likes of Estee Lauder, they are a real bargain. 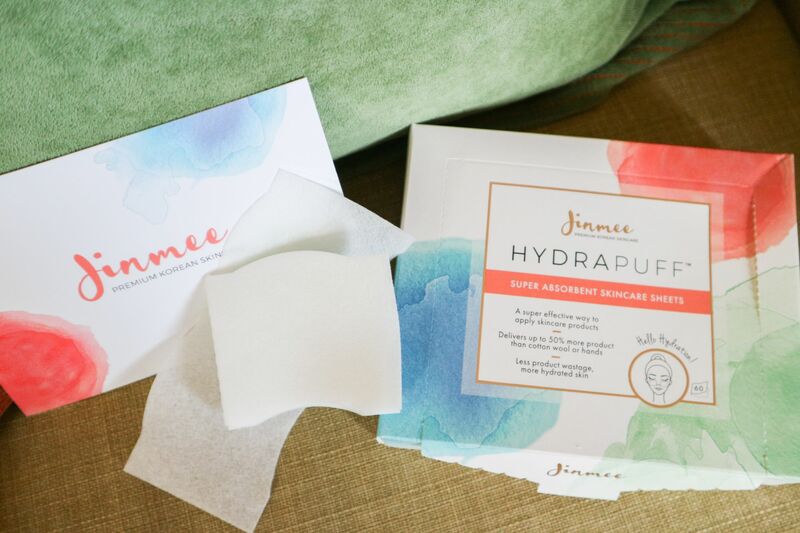 The foil element really does make a difference in helping the ingredients be absorbed by your skin, so they are worth spending extra on compared to a regular fibre sheet mask. 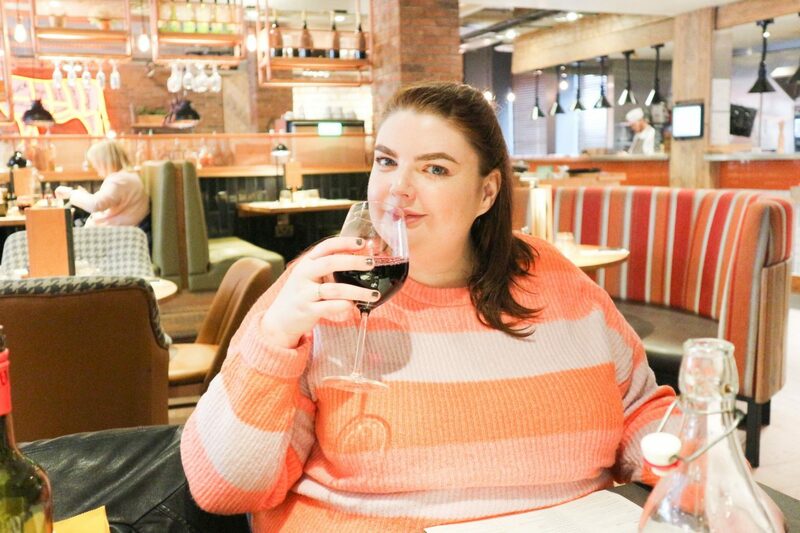 To find out more about what I’m loving, and what I’m doing, head over to my Instagram.